A beautifully renovated 3 bedroom apartment with stunning original features alongside a contemporary interior finish is now available for a rent. 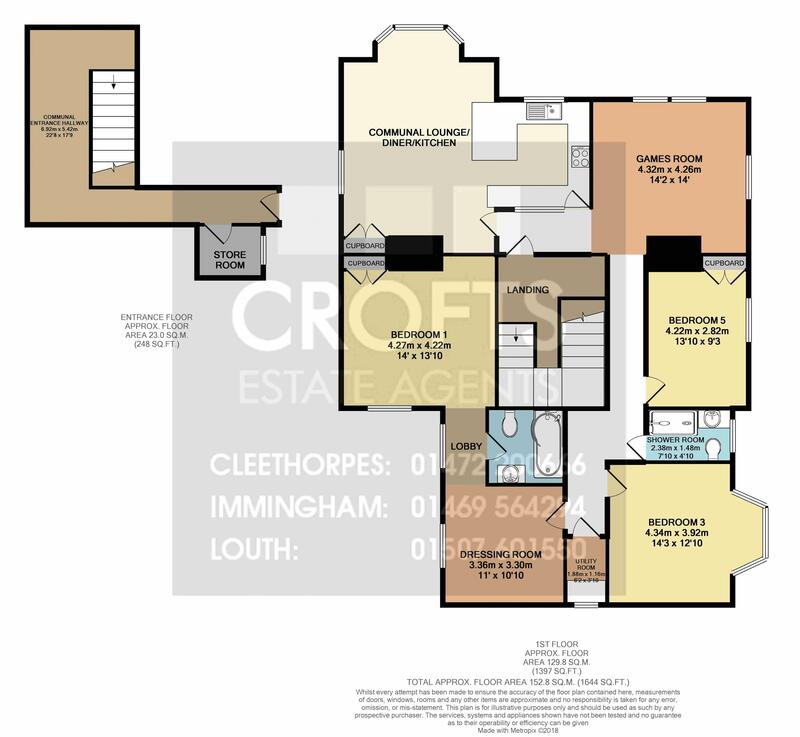 The property is set right in the very heart of Cleethorpes with everything you need within a short walk including the seafront and promenade. The first floor apartment has master suite including bedroom, en suite bathroom and large purpose built dressing room. There is an open plan kitchen diner lounge plus separate utility room, family bathroom and separate large games room. Outside there is a decked roof garden and allocated parking space. There is a entrance hallway and original grand staircase to the first floor.